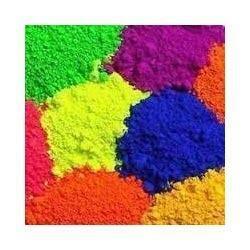 Ever since our inception, we are engrossed in offering high quality Solvent Dyes. Widely used in textile industry, the provided dyes are extensively demanded among our prestigious clients' due to its purity and effectiveness. Offered dyes are processed using the best quality chemical compounds and innovative techniques under our vendors' expert's supervision. In addition to this, clients can purchase the provided dyes at feasible prices. Incorporated in 2006, at Ahmedabad (Gujarat, India), we “N K Acid & Chemical”, are engaged in trading and supplying an effective range of Caustic Soda Ash, Ethyl Acetate, Dyeing Chemical, Solvent Dyes, Industrial Acid, Ammonia Liquor, Calcium Hydroxide, Ferrous Sulphate, Vitamin E, Methionine Sulfoxide, Butyl Acetate, Carbon Tetrachloride, etc. The offered chemicals are procured from the certified vendors of market under the guidance of skilled team of professionals. To ensure the quality of offered chemicals, our quality controllers who are expert in their respective domains test these on various parameters. The chemicals offered by are packed in safe and hygienic packaging options in order to retain their effectiveness.